“We never throw anything out,” said Ken Haberman of 39 West Ave., Hamburg. He and his wife Shirley have found ways to use scrap material in their gardens. When a driveway was put in, the extra topsoil became raised beds at the front of the house. Broken concrete was used to hold the soil in place and create a lovely terraced effect. When a chimney had to be torn down, they used the flues as tall planters. The bricks became a pathway. 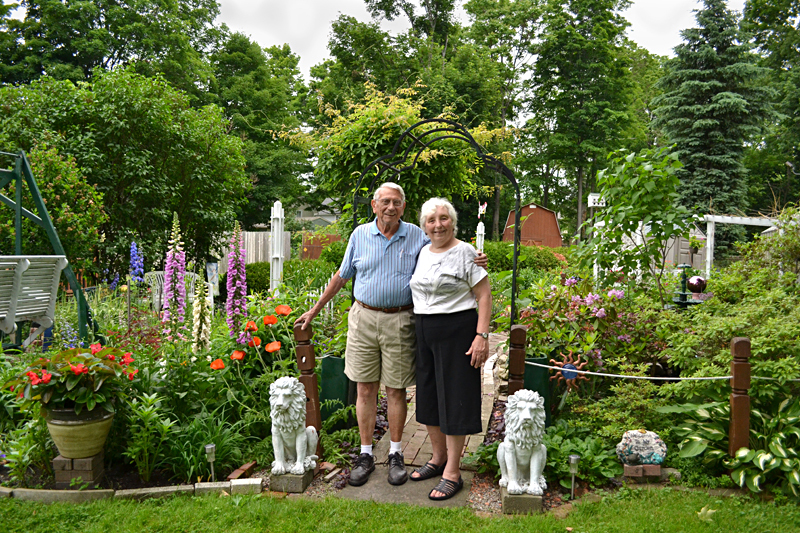 You can see the Habermans’ large and eclectic landscape during Buzz Around Hamburg, the free, self guided Village of Hamburg garden walk, from 10 a.m. to 4 p.m. Saturday and Sunday, July 12 and 13. Map guides will be available at the Memorial Park bandstand, corner of Lake and Union Streets, Hamburg. Garden vendors will be in the park Saturday and Sunday. See a list of the National Garden Festival’s upcoming garden walks here. 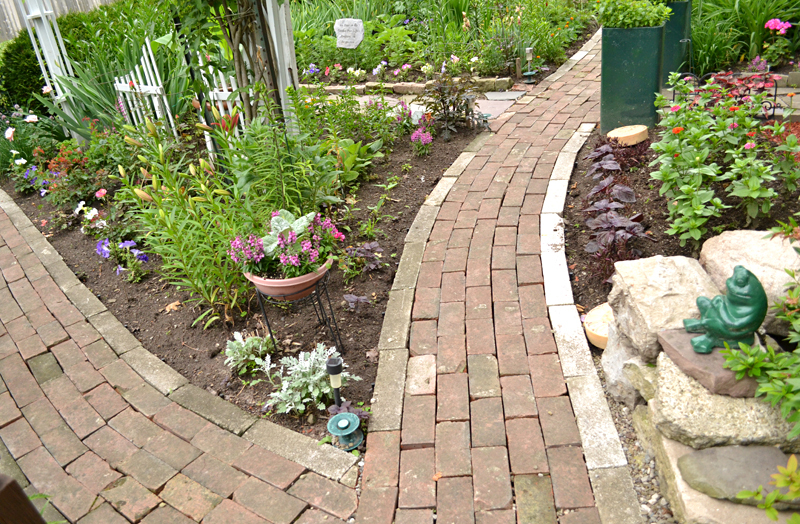 The next scheduled walk is the Parkside Garden Tour from 10 a.m. to 4 p.m. Sunday, June 29. You can also see the Habermans’ garden during Open Gardens. Ken, 88, brings professional experience to his gardening. Ken spent 20 years as a florist, then worked as the head gardener at the Erie County Medical Center before retiring about 20 years ago. Shirley, who has a background in home economics, worked at what is now Erie County Social Services teaching people how to budget and prepare food for their families. She then managed the cafeteria at Hamburg High School for 20 years. 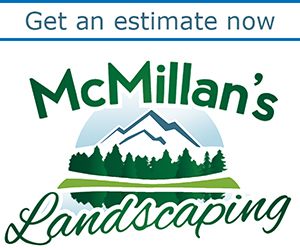 Because they’re both retired, they have more time to spend on their landscape. They’re in their garden for as long as six or eight hours every day, and even longer when it’s time to plant. 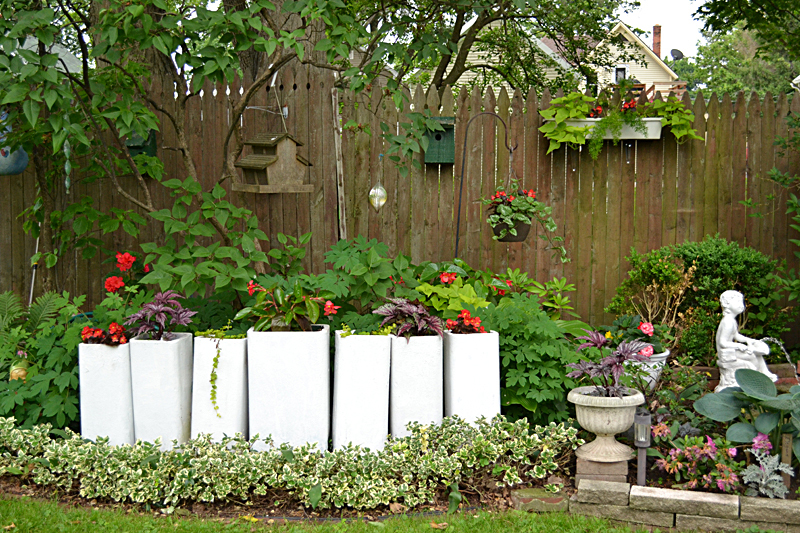 But don’t feel that you need to devote that much time to your garden. 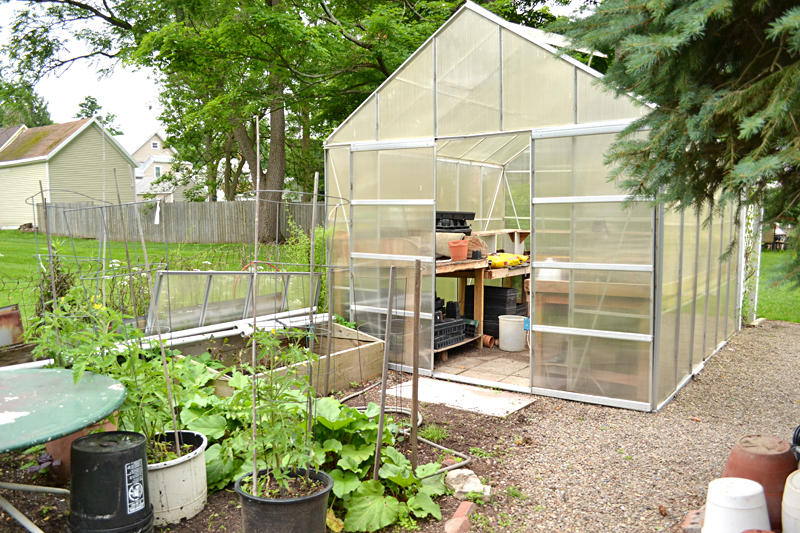 A greenhouse is tucked away behind the flower gardens in the Habermans’ large backyard, and behind the greenhouse are the vegetable plants. Ken plants his tomatoes in pots. 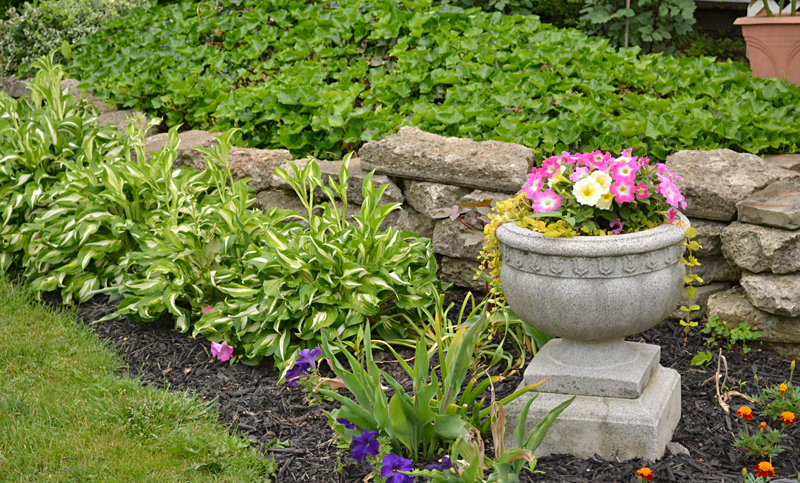 If one plant gets a disease, it doesn’t contaminate the soil in the entire bed. Where do Ken and Shirley get their energy? Their garden is beautiful and creative. Would love a greenhouse. They have a nice assortment in their gardens and a fun use of recycled materials.